Salsa Challenge - Dance more than once this week. Have you smiled enough this week? If not, get ready, the weekend is coming and you are going to be able to get out and dance. That'll turn a frown upside down. Whether you are just finding your dance feet, making a flying visit to the capital or actually are a legend on the London Salsa scene, the London Salsa site has been designed to give you as much information as possible. And all in the attempt to make you happy. Happy because you are socialising, happier because you are a bit fitter and happiest as you have discovered a wide family of dancers all over the capital. Please take 30 seconds to complete, as we are keen to learn about your dance habits which will help us to work out how to entice more people to dance more often for better health and fun. We'll whisk through just some of the 100s of opportunities to dance over the next week but if none tickle your fancy, please pop onto the site and there will be something that does. There is a free bachata class with Juan Soto at the Latin Lounge on Friday in Kingston. 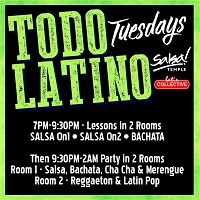 With 4 levels of salsa class and 2 of bachata, the evening also comes with the £2 off offer by quoting London Salsa. 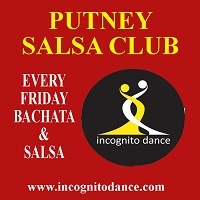 If you have a friend who wants to take up salsa, then the free salsa class for first time beginners (Quote LS126) in Putney, on Friday, means you could take another level and then social dance together afterwards. 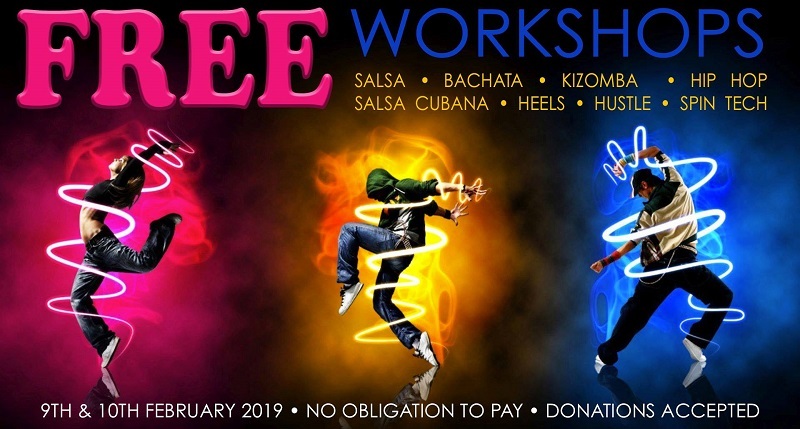 For Saturday and Sunday, Laith Sami has attracted some of the top teachers in salsa, kizomba, hustle, bachata and more, to give you a free weekend of workshops in Fulham. I say free but they are hoping you will make a donation. With one of the best dance floors in London, Pexava's home is the amazing Conway Hall, just a few minutes from Holborn station. This Saturday the social promises top djs, shows and some oif the best social dancers in London. For Sunday, members can claim £5 off the intermediate plus 5-hour Smooth Styling workshop in Bar Salsa Soho with Streetbeat. 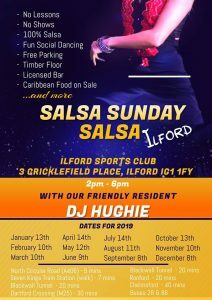 It is the second Sunday of the month, so from 2-6pm there is a salsa social in Ilford. I owe an apology to the team at SOS, Salsa on Sunday, who have, after many years, moved venue to Cecil Sharp House, Primrose Hill. To claim a first time visitor special offer, visit the link. 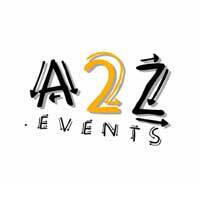 As always the midweek salsa lessons are all over town, every night of the week, so our advice is to use the search facility on site or on www.A2Z.Events to find the perfect venue near home or work. Remember to quote London Salsa on the door of your chosen venue and there is a good chance you get a members special offer. 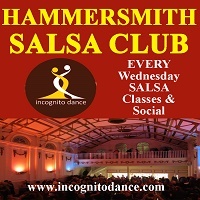 Mondays offerings include cali style lessons and bachata in Bar Salsa Temple, cuban beginners salsa lessons in Deptford, a bachata/salsa lesson mix in Wimbledon plus all-level salsa lessons in Ruislip, with a discount. Similarly on Tuesday, salsa can be found all over town, from Bromley, through Temple and Moorgate and into the suburbs like Pinner. 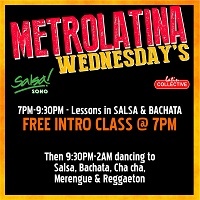 Wednesday at Bar Salsa Soho includes a free intro to salsa lesson at 7pm, which is followed by lessons for all levels and a social. In Hammersmith, quote LS126 to get a free first timer lesson, which runs simultaneously to multiple other leval classes, culmination in, what I am sure, will be a Valentines social. And a quick mention for Pineapple Studios in Covent Garden, where, on Thursdays, Julian the Duke offers salsa lessons. As always, quote London Salsa for £2 off. The rest of February is equally overflowing with almost too much salsa in London. I espy live band nights, dinner dances, workshops, Valentines parties and an El Grande. 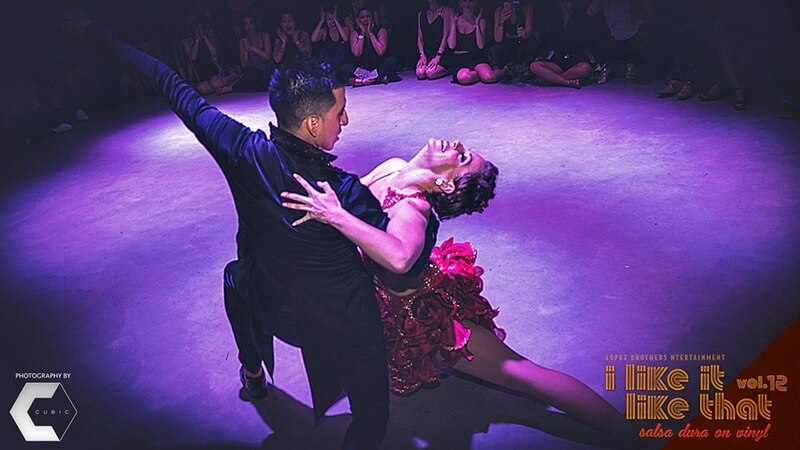 One of the most talented performing couples in the UK currently, Kat and Eddie, are offering their first ever partnerwork choreography course in Camden starting on 25th February. Book now to get earlybird tickets for the TLC Salsa, Kizomba, Tango, Swing Ball on Saturday March 30th in Winchester. Further down the line, did you know that you could claim £10 off the Cuban Salsa Sensation Weekend at York House Hotel, Eastbourne on May 3-5th.